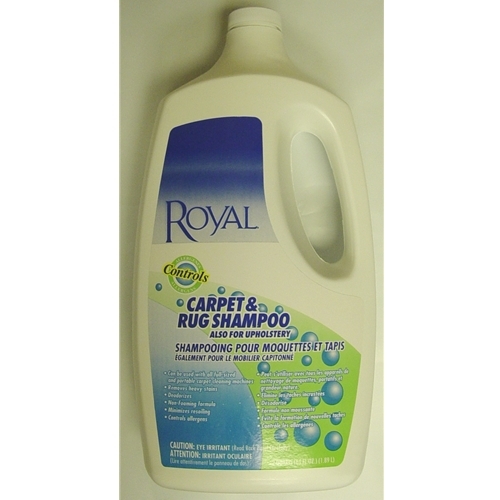 Carpet Rug and Uphostery Shampoo by Royal 64 oz. For all full-sized and portable deep cleaning machines. Helps control allergens and maximizes the performance of any deep cleaning machine. Removes deep down dirt, stains and odors without excessive foaming. Special fast drying formula allows carpet to dry quickly. Minimizes resoiling so carpet stays cleaner longer.